Tove Lo - 'Habits (Stay High)' live on Conan. Tove Lo appeared on 'Conan' last night to perform 'Habits (Stay High)' - the lead-single to have been released from her upcoming debut album, 'Queen Of The Clouds', which will be released in New Zealand on September 26th. Click HERE for more info about the album. 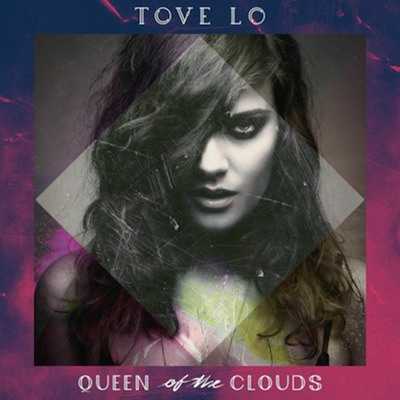 MusicListen: Tove Lo's new song 'Influence' feat. Wiz Khalifa. MusicTove Lo - 'Talking Body' music video. MusicTove Lo announce SITG 2017 sideshows for Sydney & Melbourne. MusicWatch Tove Lo's new 'Habits' music video. MusicTove Lo - 'Timebomb' music video. MusicWatch: Years & Years feat. Tove Lo - 'Desire' music video. MusicTove Lo - 'Habits (Stay High)' live for Jimmy Kimmel. MusicMust-listen: Ellie Goulding’s new song 'Love Me Like You Do'. MusicFlume drops new song 'Say It' feat. Tove Lo + new album tracklist.